A first glimpse at Star Wars’ newest character? What with Star Wars: The Last Jedi (and unfortunate real-life events) culling the heroic herd somewhat, it’s seemingly time for Star Wars 9 to step up to the plate and offer us a fresh member to add to the new generation of heroes we’ve come to know and love. Move over Finn and Rey; say hello to Caro. The Hashtag Show is reporting through its sources that the new character, Caro, will be an “ethnic female”. Actresses auditioning for the role will ideally be African-American and aged between 18 and 26. As for the character herself, she is purportedly a “leader and problem solver, smart with a great sense of humor and a strong will. All this comes to her effortlessly.” So far, so very Star Wars, then. Which is no bad thing judging by the successes of the new characters we’ve met since Star Wars: The Force Awakens. 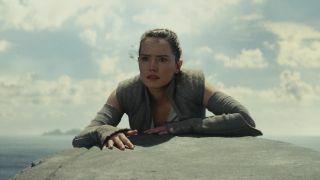 While we’re probably not getting a new Jedi anytime soon – though there is a Luke-shaped hole that needs filling – it’s nice to see a female POC in what looks to be a hugely prominent role, especially as Rey will be probably be off waging war against Kylo Ren. There’s plenty of speculation abound about Star Wars 9 already, so why not get in on the action by reading through these Star Wars 9 theories.